Is someone the star of your world? Sparkle them with white roses surrounded by star white gypsophila. 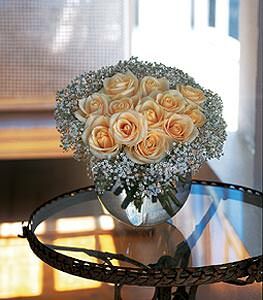 Twelve white roses with gypsophila in a clear bubble bowl.